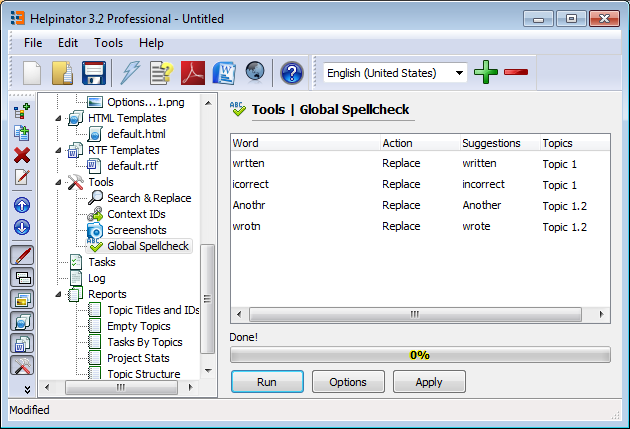 With “Global Spellcheck” tool you can spellcheck all topics in your project at once. 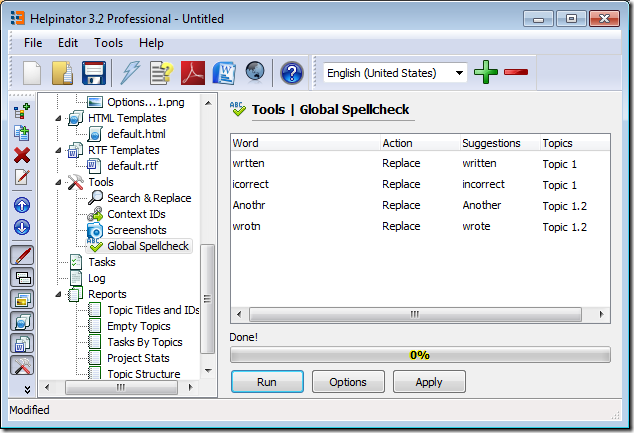 First click “Options” and check that correct dictionaries are selected. Then click “Run” and wait for the process to finish. When it’s done the table will show you misspelled words, what topics are they in and suggestions for each word. Click on a suggestion to see other suggestions. – Ignore – this word will be ignored in further checks. – Add to dict – this word will be added to your custom dictionary. When you have set up all actions you can click “Apply” and the required changes will be made.